LowerPrice is one of those advertising-supported applications that might slither onto your computer without permission. There is no doubt that it is spread via bundled malicious installers because it cannot be downloaded from its official website even if it has it. If you ever detect this program installed, delete it immediately, and it does not matter that it promises to help you save money at online stores. Specialists say that LowerPrice will not do anything really beneficial because its primary aim is to drive traffic to particular websites. In addition, our specialists say that there is also a possibility that LowerPrice will cause harm to your computer. As LowerPrice is basically useless and even harmful, we highly recommend that you erase LowerPrice as soon as possible. Even though LowerPrice says that it will scan the web in order to find the latest coupons and discounts, the truth is that it will start showing ads after you install it on the system. You will probably see coupons, pop-ups, and other kinds of ads. These ads might redirect you to the websites with an infectious content if you keep clicking on them. As you can see, you might become a victim of malicious software very quickly if you keep LowerPrice installed on the system. LowerPrice might not only take you to unreliable places, but it might also collect information about you, connect to the Internet without permission, and, as has already been mentioned, flood your screen with all kinds of commercial advertisements. As you can see, LowerPrice only claims to be beneficial. In other words, we do not think that it can perform useful activities. Research has shown that this advertising-supported application often travels bundled with other programs. Users often download bundles from unreliable third-party websites and torrents. In addition, they install new programs carelessly and thus allow additional untrustworthy programs to enter their systems. 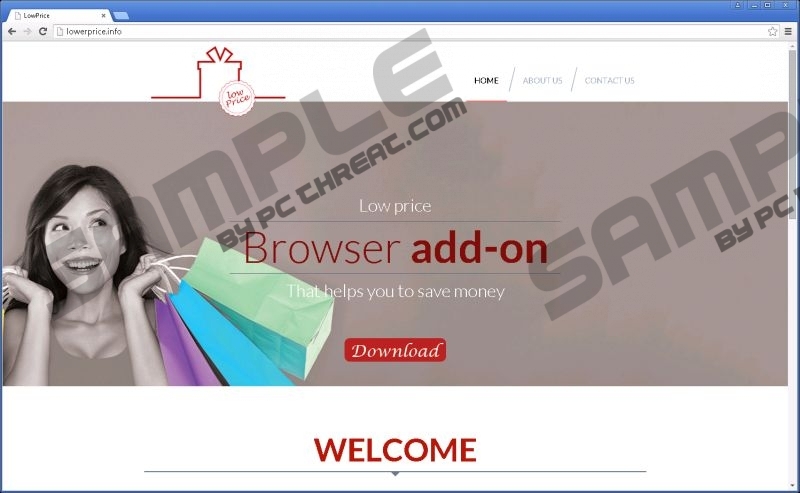 If you cannot say exactly how LowerPrice has managed to enter your system, it is very likely that it has slithered onto your PC together with LightningDownloader (potentially unwanted program) or oursurfing.com (browser hijacker). These additional threats have to be detected and removed from the system as soon as possible too. It is because they are all rather harmful. As you can see, untrustworthy programs might do much harm, so it is better not to allow them enter your system. You can protect your PC by simply installing a security application. If you have not managed to protect your system from adware and LowerPrice is now installed on your PC, you should not worry too much because you can easily remove this program from the system. The quickest way to do that is to scan the system with an automatic malware remover. Of course, you can erase this program manually too. Use our manual removal instructions for that, but do not forget to scan your system with an antimalware scanner too because it is a must to delete other undesirable programs that might be hiding on your computer. Find the application on the list and select it. Click Uninstall a program to open it. Tap Ctrl+Shift+A simultaneously and open Extensions. Quick & tested solution for LowerPrice removal.